Seema Punia was assured of a medal without a fight, while the seasoned L Sarita Devi entered the quarters with a hard-fought win on a reasonably good opening day for India in the 69th Strandja Memorial Boxing Tournament for men and women in Sofia on Monday. 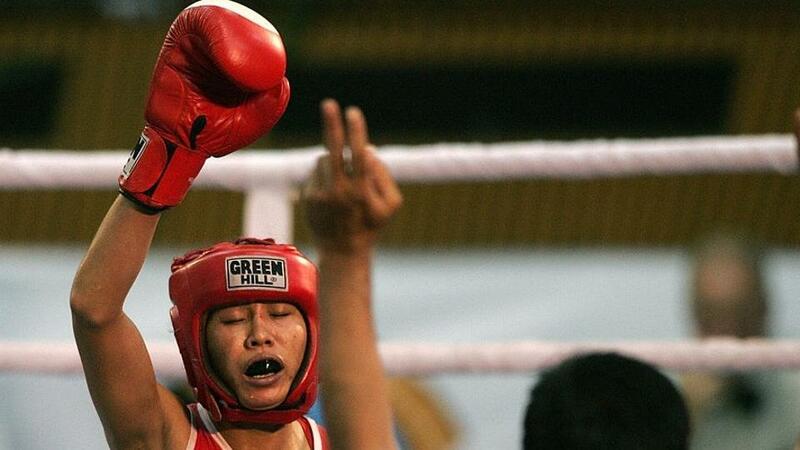 Punia (+81kg) was guaranteed a medal due to the presence of just three boxers in her draw. The Indian will face local favourite Mihaela Nikolova for a place in the final where Russia’s Anna Ivanova has got a direct entry. On the other hand, Sarita (60kg), a former world and Asian champion who fetched a silver at last month’s India Open, defeated Italian Manchese Conceha in a split 3-2 verdict to enter the quarterfinals. There was some disappointment as well when Commonwealth Games bronze-medallist Pinki Jangra (51kg), who won a gold at the India Open, went out with a first-round loss. Pinki was beaten by Romanian Maria Claudia Nechita in a split 2-3 verdict. “Pinki fought exceptionally well and to my mind, she should have been the winner,” Indian women’s boxing’s High Performance Director Raffaele Bergamasco said. Just a win away from ensuring herself a medal was the celebrated Mary Kom (48kg), who is coming here on the back of back-to-back gold at the Asian Championships and last month’s India Open. She will face Romanian legend Steluta Duta, a three-time silver-medallist at the World Championships and a four-time gold-winner at the European Championships, in her opening contest. Interestingly, all of Steluta’s world championship silver medals are courtesy losses to Mary Kom in the finals (2006, 2008 and 2010). It would be interesting to see how the face-off pans out when the two colossal names clash in the ring after a long time. In the men’s draw, former world bronze-medallist and Asian silver-winner Shiva Thapa (60kg) got a bye into the pre-quarters and will face Kazakhstan’s Adilet Kurmetov in his opening bout on Wednesday. Asian Games bronze-medallist Satish Kumar (+91kg) also got a bye into the last-eight stage. Last edition’s silver-medallist Mohammed Hussamuddin (56kg) will open his campaign against China’s Xu Boaxiang. Former Commonwealth Games gold-medallist Manoj Kumar (69kg) will start it out against Morocco’s Abdelkabir Bellassek. 2010 Asian Games gold-medallist Vikas Krishan (75kg) will be returning to action after recovering from a hand injury and will clash against Morocco’s Mustafa El Gharabi in a pre-quarterfinal contest. Among the prominent Indian names in the women’s draw, World and Asian silver-medallist Sonia Lather is awaited by China’s Xu Zichun in the opening round of the featherweight (57kg) division. Former World Championships silver-medallist Saweety Boora (75kg) will square off against American Leah Cooper in the quarterfinals, while India Open gold-medallist Pwilao Basumatary (64kg) has to go past Norway’s Elisabeth Angelsen for a place in the semifinals. In the 54kg category, Meena Kumari will take on Italian Guilia Lamagna in the quarterfinals after getting an opening-round bye. Lovlina Borgohain (69kg) has American Oshae Jones to contend with in her lung-opener. The tournament, an annual affair in the European boxing calendar, features 94 women and 143 men this time.